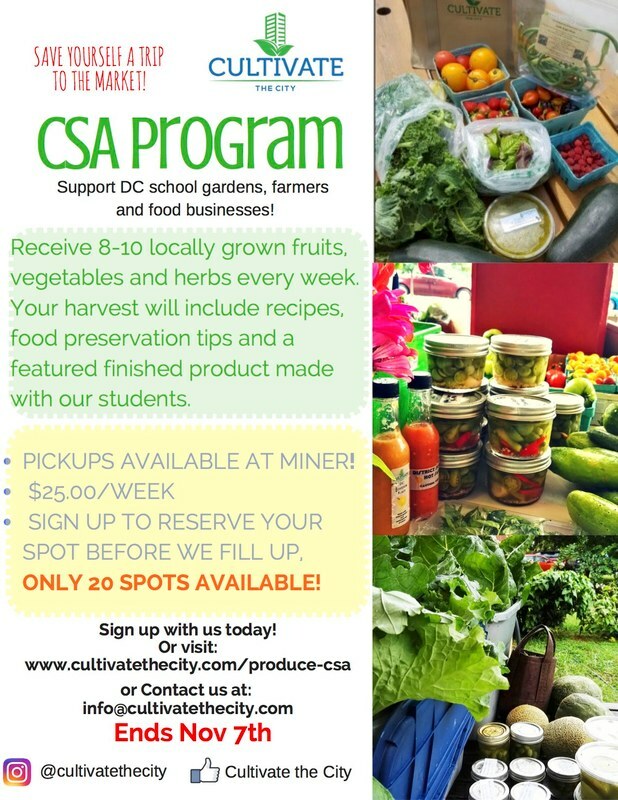 Cultivate the City also runs a Community-Supported Agriculture (CSA) program that delivers to subscribers weekly a bag of fresh, healthy fruits and vegetables right to Miner for convenient pickup! See the flyer below for more information, and go here to sign up. "AHFES at Cultural Institutions" provides access to age-appropriate cultural opportunities throughout the Washington metropolitan area. This program ensures that underserved students can benefit from the region’s rich array of arts amenities. "AHFES In School Placements" opportunities bring artists into the schools with our partners. The program presents a variety of artists from all disciplines and enables students to experience performances/workshops directly connected to their curriculum. adventurecampdc.com - Information coming soon. springboardkids.com - Information coming soon. 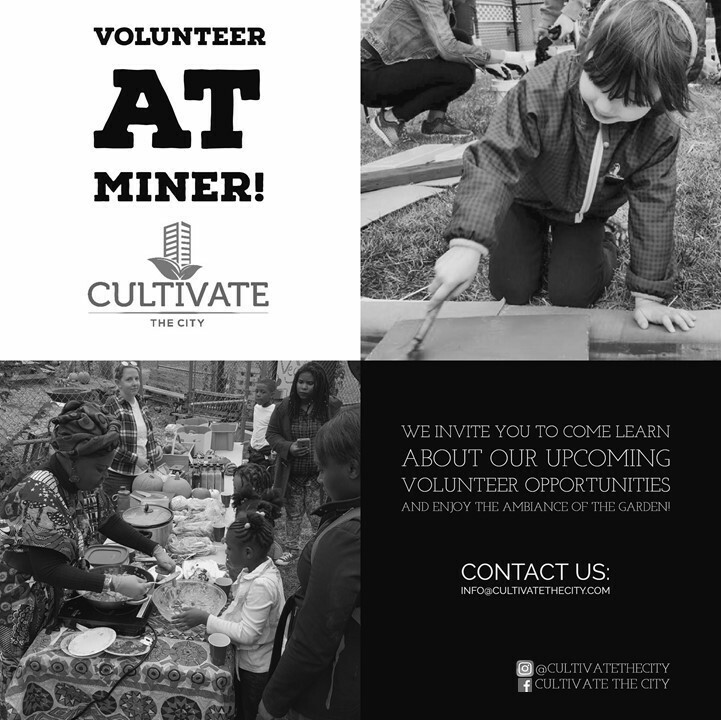 christcitydc.org - Information coming soon. ​By using a unique animal-based STEM curriculum, People.Animals.Love (PAL) develops responsibility, empathy, self-worth and academic skills while keeping children safe. In addition, the program promotes character development, self-worth, responsibility, appreciation for hard work and achievement through interactive science activities. Words like “adaption” and “camouflage” spill easily from scholars’ lips as they lecture their daytime teachers on the nuances of the life cycle of a frog and snuggle with gerbils and guinea pigs as they read. PAL is beloved by students and parents alike! Miner is pleased that PAL has returned for a second consecutive year as a cornerstone partner at Miner. The Kennedy Center collaborates with Miner to support staff in developing and implementing their arts programs, and promotes a commitment to the arts as essential to the child’s whole education. Students have the opportunity to see performances at the Kennedy Center, and artists visit Miner to increase student exposure to the performing arts. Miner is again participating in the DCPS Embassy Adoption Program. At Miner the program will focus on our 5th graders. Formal announcement of our embassy partner is forthcoming, so stay tuned! The DC STEM Network fuses community partners to help inspire and prepare all DC students to succeed, lead and innovate in STEM careers and beyond. The USA Science & Engineering Festival serves as an open forum to showcase all facets of Science, Technology, Engineering, and Mathematics (STEM). They provide students the opportunity to work together and gain valuable leadership, organizational and social skills, all while helping to increase public awareness of STEM in their own community in order to stimulate and sustain the interest of our nation’s youth in STEM. wtef.org - ​Through the Arthur Ashe Children’s Program (AACP), WTEF enhances student health, safety and academic performance by providing academic, tennis, and life skills instruction. We hire teachers and aides from each school to implement our academic curriculum and dispatch our skilled coaches to provide the tennis instruction.